According to Hong Kong-based AVJC Research, China’s technology sector received more than US$6 billion dollars in venture capital investment in 2014 – from Chinese and foreign investors. 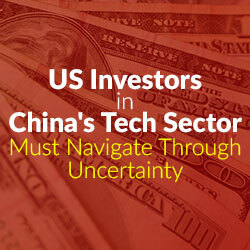 While current Chinese laws restrict foreign investment in Chinese-owned technology companies (internet companies in particular), foreign investors recently received some promising news regarding the easing of these restrictions through revised investment guidelines. A proposed draft investment law, however, has caused some apprehension. On January 19, 2015, the Ministry of Commerce of the People’s Republic of China released a draft of a revised Foreign Investment Law (Draft Law) for public comments, along with an accompanying explanatory note. The Draft Law would replace three current laws regulating foreign investment, the Wholly Foreign-Owned Enterprise Law, the Sino-Foreign Equity Joint Venture Law, and the Sino-Foreign Cooperative Joint Venture Law, and would adopt a unified approach to foreign investment. On March 10, 2015, the Ministry of Commerce issued the 2015 Foreign Investment Industrial Guidance Catalogue (2015 Catalogue), which became effective on April 10, 2015. The 2015 Catalogue updates the 2011 Foreign Investment Industrial Guidance Catalogue and opens up additional industries to foreign investment. Now, with a new set of guidelines and proposed laws, foreign investors, including those from the United States, can consider the opportunities and implications of the changes. All foreign investment in China is subject to the classifications in the 2015 Catalogue. Specifically, foreign investors must determine whether investment in a particular industry category is “encouraged,” “restricted,” or “prohibited” before they can establish a new entity or invest in an existing entity. Industries not listed in the 2015 Catalogue are generally considered “permitted,” while industries categorized as “restricted” are often subject to restrictions on the foreign shareholding percentage. The 2015 Catalogue increases opportunities for foreign investment in several ways. First, it reduces the number of “restricted” industries from 79 to 38. Next, it eases some of the caps on foreign shareholding ratios in several industries. Finally, it removes the 50% cap on the foreign shareholding ratio in the e-commerce sector. Although the 50% cap on foreign investments was eliminated, the 2015 Catalogue did not explicitly state whether e-commerce was still “restricted.” Thus, many foreign investors called for additional guidance on this question. In June, the Ministry of Industry and Information Technology clarified this question and issued Circular 196, which abolishes restrictions on the foreign ownership of e-commerce businesses in China. As a result, 100 percent foreign ownership is now permitted in an e-commerce business. The Draft Law will create a unified body of foreign investment law and will cause a significant shift in China’s approach to dealing with the alternative investment structures discussed below. Under the current legal regime, foreign investors could circumvent the “restricted” or “prohibited” categories and invest in Chinese companies through contractual arrangements and other complex structures (e.g., share pledges, voting proxies), which would give the foreign investor effective control over such entities. These structures, known as variable interest entities (VIEs) were never officially prohibited or recognized by the Chinese government, and are used by a number foreign investors, particularly those in the technology sectors. The Draft Law proposes to recognize the legal status of current VIE structures, however, with limitations. For example, Chinese companies which are “controlled,” directly or indirectly, by an offshore investor (i.e. via a VIE structure) will be treated as “foreign invested.” This means that a VIE deemed as “foreign invested,” based on several factors, can only operate in industries in which foreign investment is permitted. However, if that VIE is operating in “restricted” industries, it could face heavy penalties for non-compliance, or be prohibited or required to restructure to remove the foreign “control” element. This proposed change under the Draft Law, if adopted in its current form, could have an enormous impact on many companies, including those on the global capital markets. Though the Draft Law creates some anxiety for foreign investors in existing VIE structures, it will not likely come into force until 2018, at the earliest, and is still subject to further revision. Foreign investors may have to adopt a “wait-and-see” approach before drastic measures are made, such as restructuring any existing VIEs. On the other hand, since the 2015 Catalogue removes foreign investment restrictions in certain technology sectors, foreign investors can avoid the complexity and uncertainty of the VIE structures and invest directly into technology companies such as e-commerce companies. These materials have been prepared by Davis, Malm & D’Agostine, P.C. for informational purposes only. Receipt of this information does not create an attorney-client relationship. No reproduction or redistribution without written permission of Davis, Malm & D’Agostine, P.C. Sam Davis practices in the Business Law and Regulatory and Administrative Law areas. 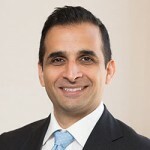 He represents U.S., Chinese, and multinational clients in a range of transactional matters, including mergers and acquisitions, technology, media and telecommunications (TMT) transactions, private equity and fund formation, venture capital, cross-border transactions, and preparation of SEC and other regulatory filings. Mr. Davis can be reached at 617.589.3823 or sdavis@davismalm.com.